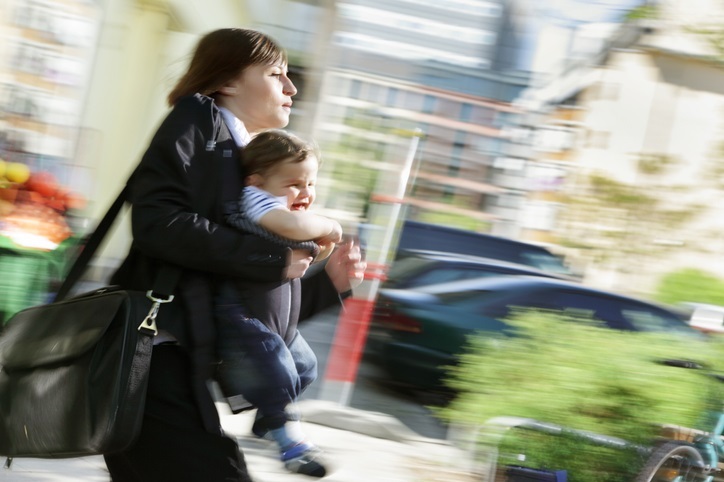 Where in this country might a working mom find the most promising career opportunities? Head to Washington, D.C., where a woman has a good shot at the same salaries and executive spots as a man, even if she does have to pay through the nose to keep her kids in day care. And what state should she avoid? Utah, where fewer than one-third of working women hold management jobs, the gender wage gap is among the largest in the nation, and the state has no women in congressional office. When HR professional Terra Wells returned to work eight weeks after giving birth in 2008, baby Kaylee joined her. It was the business owner’s idea when it appeared that the birth of Wells’ first child would sideline her from the position she’d started just prior to her pregnancy. “At first I thought it was the most absurd idea,” recalled Wells.